Jan has been an active metaphysician all of her life. Using this gift, plus her profound experience in music, she now concentrates her efforts in the goal of changing lives through sound and color. 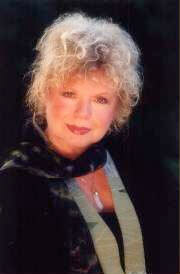 Her sound/color workshops are a featured part of the Kryon seminars worldwide, as well as her guided meditations. She has also released several related musical and artistic products. Besides traveling the world with the Kryon work, Jan has also presented three times at the United Nations in New York City. This is a meditative exercise that helps to gently open, balance, and harmonize your chakras. Jan Tober guides us through the seven chakra system using the ancient Tibetan singing bowls to help in the further de-coding of our DNA and to help in the remembrance of the ageless God/Goddess and golden angels we are. In the process of my thirty-five years of channeling and healing I have found sound, along with clear intent to be a major activator of our DNA/RNA and pineal gland. It is sound that is helping us to move into our quantum state of being with ease and grace! This DVD contains the second video of a Kryon channeling ever released. Lee Carroll, Jan Tober, Kahu Fred Sterling, and the entire international Kryon team hosted a comprehensive two-day event in the beautiful city of Salzburg, Austria. The highlight of the event was presented on Sunday evening when Lee Carroll and Kahu Fred Sterling channeled Kryon and Kirael side-by-side. This DVD represents that Sunday night event. Jan Tober presents two beautiful guided meditations similar to those delivered with each of the international Kryon seminars all over the world. The first video of a Kryon channeling ever released! Lee Carroll, Jan Tober, and the entire international Kryon team presents this event live from Salzburg, Austria. Did you ever wonder what the basis of the Kryon work is? This DVD, authorized by Lee Carroll, explains what happened one fateful day in 1989 that would forever change our world. What's happening with the Indigo Teenagers? The intent of this album is to provide a peaceful, safe place. Becoming quiet while meditating or praying is the most profound way to hear that still, powerful inner-voice, which all of us have.